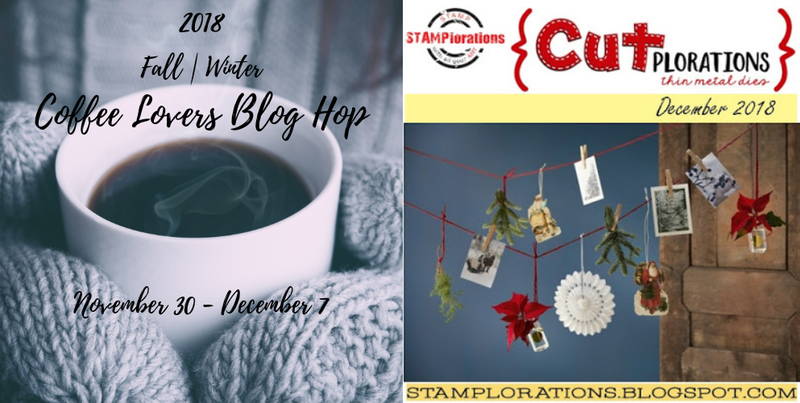 Today's card features a beautiful FREE digital stamp (A Cup for the Holidays) from Stamplorations! You absolutely worked your magic on that digi Esther! This is sooo pretty! Beautiful, so warm and inviting! Beautiful coloring of that image. I love the softer tones. Pretty card and colors. Love the splatters. Gorgeous. very pretty, has a great winter feel to it, a winters night with a warm cup of cocoa! Oh Esther this is just GORGEOUS!!! Thanks so much for playing in our ‘Snowflakes’ challenge at Dies R Us. Good Luck and please come back again soon! I am in awe, this card is so wonderfully romantic, Love the wintry vibes! Stunning card with all the layers, embellishments and super colored image. I love the embossed texture background and the gorgeous pink accents. Gorgeous! Love the layers.. that beautiful image and all of the pretty diecuts you added... great creation! You certainly have shown off your skills here with this beautiful card Esther. Stunning layout and lovely layers. Love the non traditional colours. Thanks for linking up for our CUTplorations Challenge for December. This is beautiful..so warm and cozy!Thanks for joining us at Dies R Us! A beautiful festive arrangement for your oh-so-pretty coffee mug! This, in real life, would be lovely home decor! A wonderful gem in the CUTplorations gallery; thank you for joining us!